Pace Development Group has a reputation for excellence in Melbourne’s apartment property market, with examples of their premium apartment developments including Pace of Carnegie, Pace of Collingwood, Pace of Doncaster East and Pace of Abbotsford. 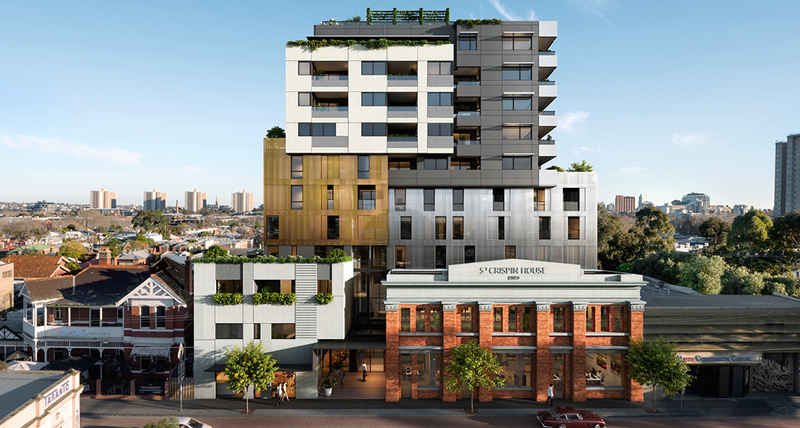 So it comes as welcome news that Managing Director, Shane Wilkinson, has recently outbid a number of heavyweight developers to acquire two new development sites in North West Melbourne. We interviewed Wilkinson to hear about his vision for a more varied Pace portfolio, including plans for diversifying his $1.13 billion development pipeline into the designer townhouse market, and details of upcoming Melbourne developments. What prompted your strategy to start developing premium townhouse estates? Our move into townhouse estates is a natural evolution of the Pace business as it matures and evolves with the market. Many of our existing Pace purchasers and residents, who joined the Pace community as first home buyers, are now seeking a second, larger property that caters to their changing lifestyle requirements and growing family. We sought to retain our ongoing relationship with these clients and convert them into a second Pace property buyer by developing inner-suburban family town homes that still offer all the attributes they value in a Pace property – an enviable location, unrivalled amenities and quality design and construction. Do your plans to develop premium townhouse estates signal a move away from the apartment projects that Pace has become renowned for? Despite our reputation and ongoing success in the apartment market, our strategy to develop premium townhouse estates actually represents a move back to our origins as a business. Historically, the business was established developing townhouse units around Melbourne’s South East and graduated to medium density projects throughout inner-city Melbourne as our construction capability and experience grew. We’ve identified an enormous opportunity to apply our learnings from the luxury apartment market into estate developments, where there is unprecedented demand for quality, architecturally designed townhouses in inner-city areas. This does not mean an abandonment of apartment projects for Pace – which I envisage remaining as our core business – but rather, an exciting opportunity to bring what we do so well in the apartment space to a booming area of the property market. What makes the site in Sunshine North the perfect opportunity to embark on this strategy? The site is located on the banks of Maribyrnong River, only nine kilometres from the city, making it perfectly positioned to create a sense of neighbourhood community that maximises lifestyle. As part of the commercial and retail offering proposed for the site, we are in discussions with a supermarket chain, childcare facility, gym operator and several speciality retailers which will activate a previously under-utilised pocket of Melbourne’s North, to the benefit the entire local community. Our business has never been better equipped to embark on a development like this. We are now geared up with refined business systems, state-of-the-art construction methodologies, and economies of scale which will allow us to deliver these types of estate developments to the highest quality and value. What will the Pace brand be renowned for in the marketplace over the next five years? Underpinning our reputation for architecturally considered, quality developments has always been our aim. Our brand is synonymous with client care, accountability for our promises and long-term investment into the developments we deliver. Every person in our business is fluent in our brand values and how they are each individually responsible for delivering on them. Over the next five years, I see this position in the marketplace strengthening as we invest further into initiatives like digital connectivity that improves how our residents engage with each other, how we respond to their needs, and how we can continue to maintain and improve their properties. I see property purchasers becoming increasingly more educated. They demand superior service, visibility into construction processes, and an ongoing dialogue with the developer. We make it our priority to exceed these expectations and evolve with the needs of the market. What do you look for when acquiring development sites? We have a robust acquisitions process that places significant importance on brand attributes rather than just commercial viability. Of the 200 commercially attractive sites that I have been presented to buy over the last six months, only two met our stringent criteria. The site must have convenient transport links with accessibility to the city. It must have the ability to integrate with and enhance the local community. It must lend itself to the creation of a community neighbourhood that can sustain every amenity and luxury that residents have come to expect from Pace. We don’t waiver on these commitments to amenity and lifestyle depending on the site’s location – we deliver to the same standard in every location we develop in. Pace of Carnegie is a perfect example of this. In an area where many competitive developers have opted to scale down their offering to a suburban location, we saw an opportunity to elevate the standard of development. We have experienced incredible success with this strategy, selling out two thirds of this project within our first month of launching. Have you noticed a decline in the investor market? How has that affected your business? We have certainly seen a decrease in the number of investors buying into our developments since 1st July, but with the substantial additional stamp duty requirements, this was expected. Investors simply brought their purchase forward or have now opted for another asset class. This change now brings us into line with NSW and I would guess that we’ll start seeing some price adjustments over the coming months and the investors will start to return. That said, our developments have always been weighted to the owner-occupier and first home buyer so this change has not significantly affected our business. What’s your outlook for the Melbourne property market? I believe we will see a sustained flat-lining of the property cycle for the next 18-24 months. However, this is an important and healthy readjustment that we needed to endure for the long-term sustainability of our industry. No developer who is a long-term player wants to see this market overheat. We are all supportive of the industry remaining viable for many years to come. Our banks and policymakers seem to be managing their risks well and as such we are unlikely to see interest rates like the early 90s again. This is likely to make the industry stable for the foreseeable future. Discover developments by Pace Development Group currently listed on our website and enquire today to find out more.